SmokingMirrors: And Down Will Come Baby, Cradle and All. Reading the above linked blog nearly made me cry. Why? Well, because I have heard the same frustration and despair expressed by other sincere activists for World Peace in the past couple of weeks. The despair of the front line is setting in. Yes, it looks like COINTELPRO is winning. The depression is spreading among those who have been keeping up the good fight for so long; we are succumbing to the disease. But is that really true? 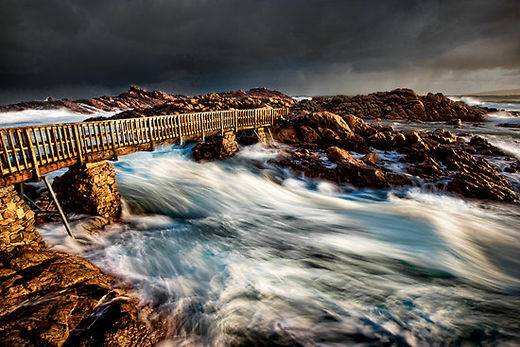 Perhaps with understanding we can find a remedy, a Bridge Over Troubled Water. When you’re weary, feeling small, when tears are in your eyes, I’ll dry them all. I’m on your side, oh, when times get rough and friends just can’t be found, like a bridge over troubled water, I will lay me down. Like a bridge over troubled water, I will lay me down. When you’re down and out, when you’re on the street, when evening falls so hard, I’ll comfort you. I’ll take your part, oh, when darkness comes and pain is all around, like a bridge over troubled water, I will lay me down. Like a bridge over troubled water, I will lay me down. First of all, I think that Lobaczewski has produced about the most valuable document for our times (or any times) that I have ever encountered. Every activist needs to read this material and read it carefully. You can’t go into battle without studying the opposition, knowing their strengths, weaknesses, strategies, and so on. Lobaczewski and those other activists and resistance fighters have already been through this. They studied it and mapped it. And the fact is, if you don’t study what you are up against, you will make stupid mistakes, you will think you are winning when you are losing, and conversely, you will think you are losing when the opponent is just bluffing. Just now, activists are the physicians of society. We can’t do a thing if we don’t know the nature of the disease and that is what Lobaczewski lays out for us in all its horrible detail. We don’t want to give up in despair thinking we have incurable cancer when it is just the measles or something that must run its course and can lead to full recovery if proper nursing is applied. The questions about COINTELPRO backed groups and individuals MUST be asked, but it must be asked in the proper context. The question is: Are such groups and individuals just “victims” of the social disease, or are they vectors? Are they innocently manipulated by the special psychological knowledge of those with serious psychological pathologies, or are they carriers? Either way, COINTELPRO is deliberate and planned at some level, whether the individual or group is privy to that planning or merely it’s dupe. The REAL “enemies” are those individuals pulling his strings. The bottom line is, if the individual cannot be cured, if their egos are so big they cannot admit that they have been or are being manipulated, then those who seek “health” need to contain them like Typhoid Mary. Modern COINTELPRO has been developed to an all new level of complexity and sophistication even if they still use many of the old tried and true methods of defamation and slander. After all, they have had access to some excellent talent to figure out how the human mind works and to know how to get to people and even to “trigger” them at a distance. I’m not talking about mysterious “mind control” experiments here, but simple psychological knowledge, though I won’t discount the direct experimentation. After all, if you have some control over what kind of psychological “diet” is being fed to a society, you can pretty well set them up to do what you want right there in front of God and everybody. Education, religion, television, video games, control of the media for “ideological vectoring,” etc. It’s a pretty formidable array. But again, most of it is “terror tactics.” We need to study it and find the curative means and employ them. Our culture is so permeated with this legal argument system that it extends into our daily experience: the one who is the slickest at using the structure for convincing a group of people of something, is the one who is believed. Very few people take the time to obtain hard facts by carefully studying any and all information about a situation. How do I know John Kaminski and Kurt Nimmo are not disinformation artists or in the pay of the CIA or Navy intelligence? I have done due diligence. Not only do they use their real names, they also have a real history of their public life and deeds that is written in an open book for anyone who cares to read it. I also know from personal information that if the CIA has them on their payroll, they haven’t ever sent any checks and both of them struggle to survive every day just like the rest of us. They need help and they aren’t getting it. Anonymous Coward User ID: 67366 1/28/2006 6:01 AMRe: Ok, enough about Nancy and the Zetas. What do you all know about Laura and the Cassiopaeans? Is LKJ the same as Il_Bagattel on STA? what happened to his money? i wonder if the larks understand the concept of karma? How to deal with nonsense like that? And believe me, this is a mild example. You ain’t been COINTELPRO’d professionally until there are websites set up for the express purpose of destroying your reputation and thusly your ability to do anything positive for others in this battle against Fascism we face today! I reckon we are about the most attacked people on the net, and we were being attacked when it wasn’t fashionable. Maybe we’re onto something? Now, you want the truth? Can’t you handle the earth-shaking revelation? First of all, the individual referred to above is not a “used car salesman” or “health food drink peddler” except in the mind of the writer who denigrates him, and seeks to dirty everything he touches, especially us. The man’s father was a Car dealer in the American Midwest. The individual in question owned several nightclubs in large cities there; he also was a musician and played drums in a couple of well-known 60s and 70s rock bands. Later, he joined a large vitamin manufacturer as marketing director. Normal life story. But somehow his life was cheapened and vulgarized in a few, short, sentences constructed by a psychopath. This individual has been a long time reader of our website, a discussion group member, an activist, (he led a movement to stop the building of an airport in CA that would have destroyed an ecologically sensitive environment), and supporter. When he reached retirement age, he saw what was coming in the US – POLITICALLY and economically – and decided he wanted to retire to Europe. Yes, he was scared – nobody in their right mind wouldn’t be – , and yes, he thought earthquakes in California were likely at some point in the future (as do many experts), but that isn’t what was driving him: his main fear was Bush and the Neocons. Rightly so. So, he wanted to get out. Since we were the only people he knew in Europe, and since we could sponsor him to come here, it was only natural that we do so. Yes, he sold his house before moving; that’s natural. Yes, he stayed with us for 6 months while looking for his “ideal house,” and then moved in there. I have no idea how much money he has or how much he made on the sale of his house. He helped out with groceries while he was here, made a loan to us when we needed additional funds to try to get a mortgage to buy a house (that fell through – loans get repaid) but that was it. We helped him, he helped us and that is pretty simple and ordinary stuff in anyone’s life. But see what has been made of it? See the filthy allusions and insinuations? See how it has been twisted to contribute “proof” to the claim that we are just con-artists and run a doomsday cult? Well, obviously, anyone who reads the work on our website knows better. That is why we take note of the sites that do and do not link to us. That is why it was so interesting to observe the reactions to the Pentagon Strike video which I have written about earlier. After the Washington Post made the mistake of publishing a link to our website, all of the damage control machine went to work and the ONE thing they wanted to avoid at ALL costs was publishing a link to our website. We must scare them to death. So certainly, we would expect real COINTELPRO operations to be attacked “officially” in order to legitimize them, (and that’s what they did for Jeff Rense), but those who have figured out the real answers will not be martyred – at least not by the official government. It’s way too dangerous. Rather, they will be crucified by “Third Party Agents” of COINTELPRO such as Vincent Bridges and his gang of cyber-psychos. And certainly, it is effective. The problem is, because so few people really think, and most people are really programmed by the “Cult of the Plausible Lie,” when folks like Vincent Bridges and his buddy Storm Bear repeat this nonsense over and over again (and it started back in 2001), the average person tends to think “where there’s smoke, there’s fire.” They don’t know that it’s ALL smoke and somebody else is blowing it! The word “cult” has been deliberately made so pejorative that people actually cringe when they hear it. It was used with effective results in relation to the Jonestown people, the Branch Davidians at Waco, the Solar Temple, Heaven’s Gate, etc. I certainly thought that those situations were as they were presented by the media myself at the time they happened. It was only later when WE were painted with the same brush that I started to wonder if there wasn’t some psy-ops going on there: a deliberate manipulation of people’s minds. I started looking into it and it sure looks that way. Do your own research, don’t take my word for it. What matters now is that 90 % or more of the US population still believe the lies about those people. (And I’m not defending their beliefs, whatever they might have been, just their right to have them and live peacefully which they were NOT permitted to do. They were hounded and flamed and infiltrated and lied about until they became so paranoid that they began to act erratically which then led to their destruction. Pure psychological manipulation.) I should mention here that the chief ranter of “cult, cult, cult!” in the case of the Waco tragedy, was Rick Ross, good buddy of Vinnie Bridges and Jay Weidner and probably, by extension, though it is hidden, Jeff Rense. (It is known that Rense has some decided Zionist connections so it strikes me that he could be a tar baby to collect all the anti-Zionist folks together, get info on them, and then subject them to later attacks by seemingly disconnected sources. There are also Zionist connections to Weidner and Bridges, by the way, and most definitely to Rick Ross.) By the way, has anybody but me noticed Jeff’s ostensible “Christian Cult” bias? Are we a cult? Hell no. If anything, we are anti-religion and anti-belief in anything. We prefer to collect data and assign probabilities based on scientific analysis. The REAL cults are protected by the so-called “anti-cult” people. They pretend to be “anti-cult” all the while they are subtly promoting a quite different agenda. Take a look at the maar.us website, the ostensible source of the libelous post I quoted above. This is supposed to stand for “Malevolent Alien Abduction Research.” Now, get this: Colleen Johnston is saying that aliens are malevolent. WE are saying that, if aliens really exist as a great deal of evidence suggests they do, then they are malevolent because that is what the evidence points to. So what’s Colleen’s problem? Why does she have a beef with me? Easy. And I’ll tell you how I know. There are two people on her private discussion group who got curious about me because she wrote so vicious an article about me. (I don’t think she wrote it, I think that Vinnie Bridges wrote it in her name – part of the COINTELPRO Greek Chorus strategy). So, these people came to our site to examine the evidence by reading the material we publish. Apparently, they were so disgusted with Colleen’s obvious agenda, that they decided to forward to me all the exchanges she has with her group, her “teachings,” so to say. It’s quite a collection. Reading this material was truly saddening:the blind leading the blind, but more than that, it was worrisome. You see, Colleen Johnston tells her followers that faith in Jesus is what is going to save them from Malevolent aliens. Yup. Not a joke. And if they keep getting raped and abused (and how they glory in their descriptions of the “disgusting” sexual encounters with their reptoid tormenters! ), then it is obviously because they haven’t gotten the exact shade of feeling of faith to ward them off. Either that or it’s “god’s will” that they suffer. In any event, the “anti-cult” ranters have done a pretty effective job of making people afraid of the word to the point that it’s like the Kitty Genovese case… a person can be being murdered – psychically, psychologically, and even literally – by these thugs and nobody will help because they are afraid of getting tarred with the same brush. And THAT is the point. That’s what COINTELPRO is set up to do. To divide and conquer the TRUE patriots and activists by slime propagated by the Third Party Attack Protocol. Those who are really working for truth and peace will be attacked and marginalized. And then, if somebody starts to notice anything strange about this, they will set up “fake” attacks on each other to allay suspicion. No sooner had I made a public comment about the fact that Jeff Rense seemed to be curiously untouched by all of this than, lo and behold, within a few days he started publishing articles about how nasty letters were written to him from Zionists and his guests were being “threatened.” However, he has never published an article about how *I*, as his guest, was certainly flamed and threatened by his pals Jay Weidner and Vincent Bridges and HE published it himself. And then along comes Daryl Bradford Smith with his “diet coke COINTELRPO” attack on Rense – you know, the flame with just one calorie? But that doesn’t mean that we can’t take pages from their playbook. I don’t see anything wrong at all with utilizing a similar tactic. But to do something like that, you have to have a network and that has to be created very carefully in order to weed out the “agents.” That’s where studying the phenomenon and doing due diligence comes in. If such a thing could be done, if such a group would come out in force whenever they see the stalker attacking a “Kitty Genovese”, (i.e. any one of the members of said network), the network would come out in force and make it clear that they are not going to tolerate attacks on people who have proved themselves by their bona fides, and by their work. The problem with forming such a unified network is Ego. So many people are invested in their beliefs and they have to hang on to them and if somebody over there doesn’t believe the same way they do, they don’t feel that they ought to support them. What we have to understand from the start is that most of these beliefs are part of the program. One has to be completely ruthless in examining the self and what one believes in order to get free of this stuff. Effectively that means that anyone who is attached to a “savior” scenarios is probably part of the program whether he or she is conscious of it or not. There aren’t any saviors! No Jesus, no Avatar, no Aliens are gonna help haul our buns out of the fire. It’s all up to us! That’s it. And we can only do it with knowledge and awareness! But the kind of knowledge and awareness we need cannot be gotten alone! Our Quantum Future Group has made a huge difference. Yeah, Vinnie and gang like to rant “cult” about the fact that we have a private, members-only group, and it’s hard as hell to get in, but I can guaran-damn-tee that this is only because the PTB are afraid of people actually learning how to work together without egos. It’s all about relationships and networking to do real research with all biases removed. QFG is a blessing to me for a lot of reasons and one of these is that it is the members of this group that keep me fighting. Because many of them are there, in the U.S., even though I am here in France and could just relax and retire and let the world go to hell or let somebody else do the work. Heck, I’m 54 this year, I don’t have a lot of years left so why am I wearing myself out? I could shuck the whole nonsense, free myself of the grief that I suffer when I am unjustly attacked, the suffering my family has gone through because of those psychopaths, quit working 16 hour days, and just read and watch movies and prune roses. But I can’t do that. There are too many people that I love. I will fight for them until I am cut down and I believe that they will do the same for me. I could be wrong, but I don’t think so – they are very special people, every one of them! Yes, there has been a period of “weeding out” COINTELPRO – that’s a necessary stage for any group that hopes to remain cohesive and work toward a common goal. Those who have the seeds of selfishness have fallen away under various trials. In this sense, people like Vinnie and Jay are useful. Those who have the instinct for truth can see through them and their lies, and those who prefer lies because it makes things simple and keeps people from being mad at them for bucking the PTB, get taken in. Lobaczewski calls it “transpersonification.” It’s really that simple. We interact with people daily, monthly, year after year, and because of this they know us on a consistent, personal basis. Most of our group members have been to visit us and have visited each other. This group works together, researches together, and that means that each of them give of themselves daily just like in a family. When you get to know people personally in such an exchange, you begin to care about them in a deep way. Our group is our real family and families help each other. The neighbors would not have ignored Kitty Genovese’s cries for help if they had known her and interacted with her daily, or if they had been family, even “extended” family. That’s what is missing in the Anti-war and 9-11 truth movement. People working together, knowing each other well and personally, leaving their egos and prejudices at the door, doing good research with protocols, sharing and supporting each other for the sake of the goal and not personal fame and glory. The network needs to grow. The members of the Quantum Future Group are our “Bridge Over Troubled Water.” They work tirelessly alongside us on the “frontline,” even if we do try to shield them from the flak and take the direct hits from the COINTELPRO gangs ourselves. We are able to stand up and do that because they are behind us, passing the ammunition, food and water, necessary intell, providing distractions and cover fire, and all kinds of things that can be expressed in battle metaphors. The cavalry may make the charge and attract the fire, but it cannot be successful without a kitchen, without an infirmary, without covering artillery fire, and without reconnaissance and foot soldiers. So, the bottom line is, as long as the Quantum Future Group exists, as long as children who need a future exist, I’m not ready to give up yet. There is way too much at stake. Maybe I am clinging to hope because I am a mother and I want a future for my children and my extended family and their children. Maybe that hope is self-deception, just as a mother might cling to hope that her child will survive some terminal illness. I’ll admit that up front. But even so, if my “child” dies, it won’t be because I didn’t do everything I could, right up to the last instant. And believe me, a desperate mother can be pretty creative when her child’s life is at stake. There are all kinds of stories about mothers who did not take the diagnosis as the last word, who did their own research, who found new remedies, and who, in the end, healed their children by virtue of stubbornness, refusal to give up, and just plain cussedness. They can call me crazy, they can laugh at me, accuse me of whatever slime their filthy brains can come up with, gossip about me, flame and abuse me; it has nothing to do with me, and I ain’t quittin’. I’ll be your Bridge Over Troubled Water.